Silky Synthetic? 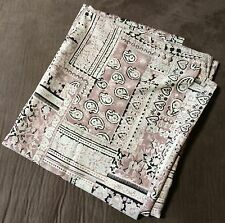 Fabric Paisley Floral Hearts Beige Mauve? Black 60" x 113"